Delightful Shihpoo Puppies. Ready Now!! I have a wonderful litter of cheeky Shihpoo puppies ready for their forever homes. I now only have chocolates and tuxedo colours, both boys and girls available. They are fully vaccinated (Ready to play out), wormed, flea treated, health checked and micro chipped. 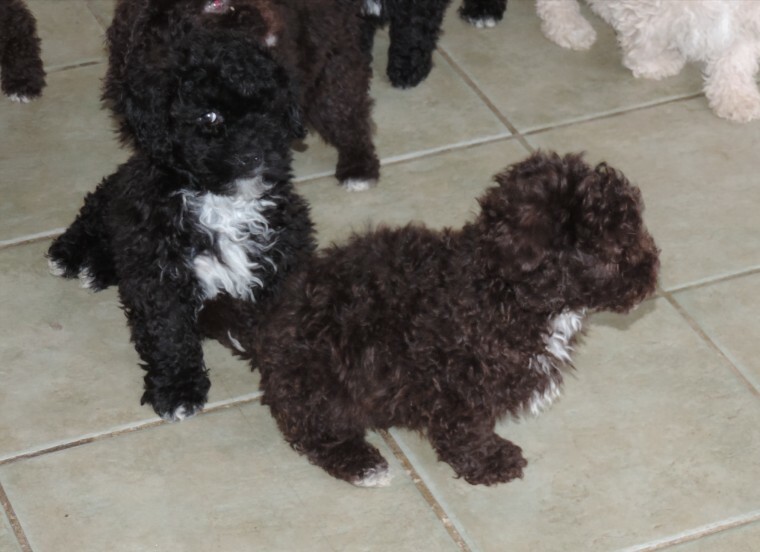 They have been raised in a busy household with other dogs and have been very well socialised and almost housetrained. They will make a brilliant additional family member or even a companion for a lonely dog who needs a playmate. Mum is a Shih Tzu with a outgoing bold character and dad a lovely Miniature Poodle. Please call, text or email for any further information or to arrange a viewing.